"Another morning, another egg. The sky was up early. It had rained all night: to you and me sleeping, the storm was a delight. In the east, morning clouds are building a kingdom of red and silver. Time for you to get up! Come into the kingdom of morning delight and come as king! Come into the omelet of morning delight, and come as egg!" I love 'Come into the kingdom of morning delight and come as king!' Seems a vivifying greeting. I'm going to try it on J this a.m. Ought to be innerzesting. Also unearthed this past event, 'A landscape beyond the brink of I' Ahive is the wish to have attended. i really hikes the phrase 'permaculture poetics' created and discussed and lit by eric magrane. in ecopoetics 2.9.2, james sherry has discussed what he calls 'environmental poetics', a similar idea that calls for a con-verse-ation between New Criticism and Innovative/Experimental approaches to poetry--an egg's-cept-stance of both, diversity. i think both writers are pointing to a similar development in american poetry--a convergence of experimentalism, lyricism, and ecological awareness. yet the designation 'environmental poetics' reinforces linguistically, (which is to say cognitively, which is to say reinscribes a type of consciousness) the binary of inner and outer, as it points to 'environment', which is outer and so the background of the idea is inner. 'environment' does have an interesting etymology--according to one etymology site, "'virer' is related to the Latin verb 'vibrare'- to shake, brandish - which gives all the words to do with vibration - and even, to some sources, is related to the word 'wife'"
so you could say 'environmental poetics' is the poetics of vibrating shaking wifely brandishing mentations. which is cool as a cucumber's umbrage. yet i prefer 'permaculture poetics' because inner and outer are suggested as permeable with the conflation of gardening and writing. the act of writing is articulated as a type of cultivation, the mind the ground for tilling/telling, and i also like the evocation of a word that's both verb and noun, 'garden', which unsettles the meaning and suggests dynamic process rather than only static categorization. yet 'permaculture poetics' does evoke a call for a certain type of praxis--evokes proscription, whereas 'environmental poetics' feels more descriptive, a gentler hoe to row. innerfesting times we hive in. So we're back in Athens, GA, where I'm eager and yey finishing up my PhD at UGA, English lit/creative writing, with a focus on ecopoetics, particularly of the posthumanist varieties. Grittin' up at 4 am to study. Havin' a dawn good time! 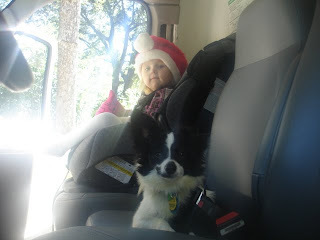 Here's a pic of Soph and our dawg Buster in the Uhaul we took comin' up from Florida. J wasn't here yet--tho' he's gotten his visa now and we're happily lodged in GA.
For those teaching poetry to yourself or others, here's a great list of poetry questions written by Rachel Blau DuPlessis to help prompt analysis. Have been reading Patrick Pritchett's reviews, of Rachel Blau DuPlessis's Drafts for example. Here's a quote: " The order of the world in Drafts may be predicated on loss, but it’s a loss that’s redeemed by its being folded over into a capacious, labyrinthine process of response that turns the never-ending occasion of depletion into a recurring event of plenitude." O, yes! Such a lovely concise translation! Find him wonderfully layered and insightful, articulate and descriptive. & you must resist taxonomy. is also a secret description of wonder. Because to speak in a normal voice signals a waver of intent. fabric for the caustic of days. It’s a way to engage the world by and through language. 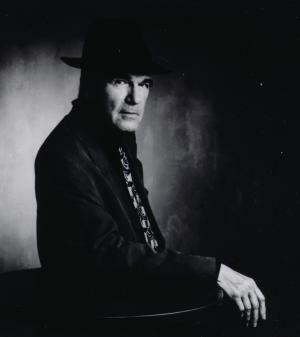 This poetry might be wary of language, but at its core believes that language is an evolved ability that comes from our bodies, that is close to the core of who we are in the world. Ecopoetry might borrow strategies and approaches from postmodernism and its off-shoots, depending on the poet and their interests, but the ecopoetic space is not a postmodern space. An ecopoem might play with slippages, but the play will lead to further connections....."